Last few days ago I am confuse of what to write in here. I am occupied of my time that I almost cannot think of what to share here. So today I want to share what I found online that might interest you. Hope I can help some people who are looking some things and confuse where to find it. My blog will involve for deals about fashion, business and more because Mom is on the move...Anyway, here are my finds today. 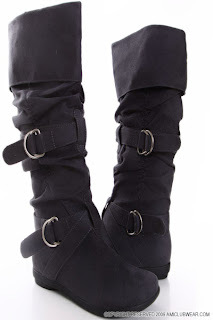 These casual boots can do alot. 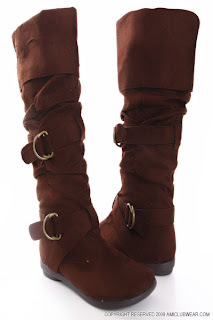 Soft faux leather upper in a knee height causal boot style, with a round toe, stitching, overlay, ankle and shaft straps with adjustable buckles Soft fabric lining, cushioned insole, stitched topsole and flexible mid sole. woi what a great deal! I love shopping at AMI!